So. Of the many things fantasy, sci-fi, and comic book related that we ladies like, one of the foremost is George R.R. Martin's A Song of Ice and Fire (ASOIAF), at least for TinyDoom and I. It started with HBO's amazing adaptation of the series, named Game of Thrones after the first book (just in case you've been living under a rock, I wanted to clear that up). Then we each devoured the entire 5 books of the series (and yes, we wish he'd hurry up and write the rest of them, too.) So when season two of the series came out, we were ready to take it to the next level and do some literal devouring. Thankfully, the internet was here to help. So. Tiny Doom and I like ASOIAF. 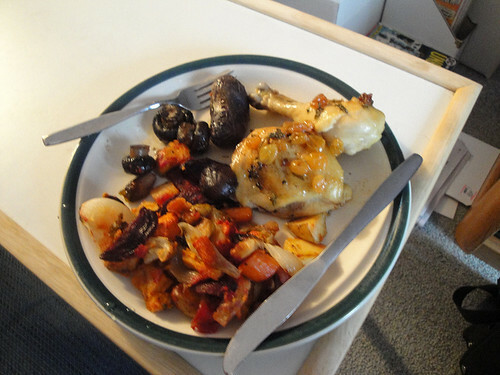 We also both like cooking, most especially if it involves some sort of crazy project. Would you like us to pit one million cherries by hand? Steep blueberries in vodka for a week? Churn our own butter? We will do it. Clearly, this cookbook was made for us. 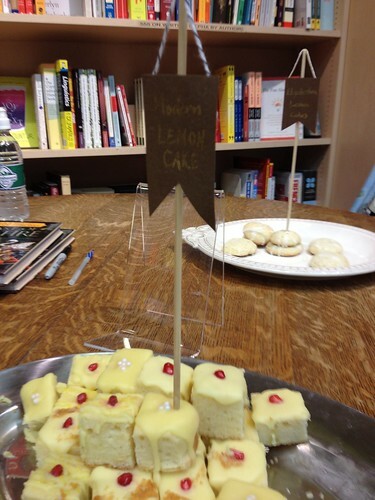 And when I heard that the ladies behind it would be at our local bookstore, with lemon cakes (! ), we were so there. 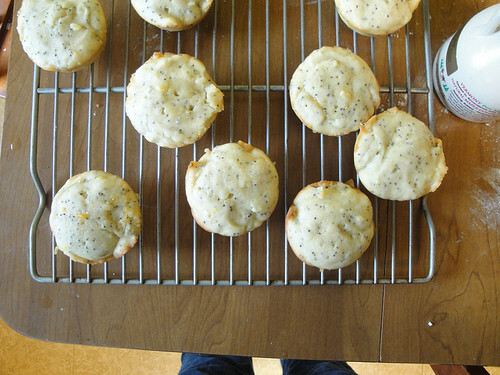 The lemon cakes turned out to be important, because that's what kicked off the whole project. If you're familiar with Martin's books, you know they come up a lot - they're arguably the most important foodstuff in there. In fact, I'd made the version of the Elizabethan cakes that was up on the blog myself, for a Season Two finale dinner Tiny Doom and I had cooked. It was clear that the cakes had continued to go through various iterations, as mine looked nothing like the ones Sariann (known as Chopped Ginger on the blog) had made. This variation turned out to be a major theme of the talk - clearly, working from medieval recipes leads to interesting and variable results, not all of them positive. Monroe-Cassel and Lehrer spend a lot of time testing, tasting, and re-testing recipes to be sure that they are edible, replicable (it can be hard sourcing period ingredients) and safe (it can also be deadly sourcing period ingredients - we're talking about people who brewed beer with hemlock). Folks asked great questions during the talk, and the ladies had thoughtful answers and were willing to share their tips, tricks, and sources. We learned that snake is pricy, swan is illegal (in New England, anyway), and that brawn is just not that tasty no matter how well prepared. Sariann revealed that she's fallen in love with suet pastry, and Chelsea gets satisfaction out of beating meringue by hand (the trick is a copper bowl). 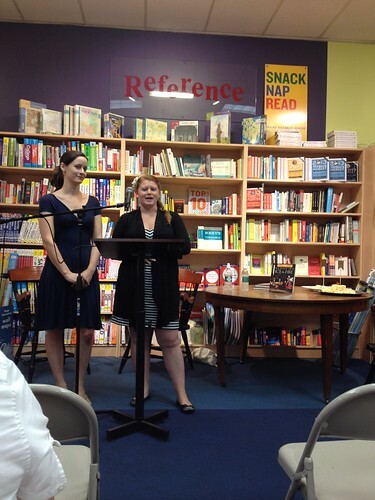 All in all it was a grand evening, we got our books signed, and yes, the lemon cakes were delicious. Keep an eye out for future posts as TinyDoom and I cook our favorite recipes from the book!